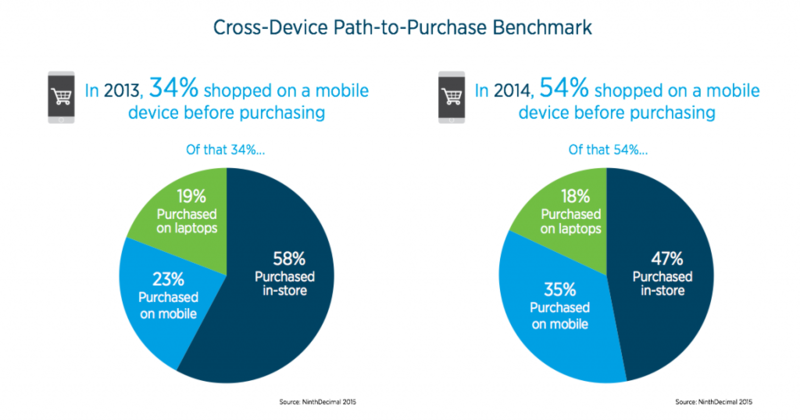 A recent report reveals that mobile ads on smartphones and tablets are having a big impact on consumer purchases. The Mobile Audience Insights report, conducted by NinthDecimal, focuses on understanding how the role of mobile has evolved in various stages of the consumers’ path-to-purchase. The report offers marketers insight into how consumers are using mobile differently than in prior years, as well as identify trends to watch as mobile’s role in the consumer shopping experience continues to change. Mobile programmatic ad buyers were 8X more likely to target audiences based on ethnicity than either income or gender. 57% of advertisers delivered offer-based mobile ads. Consumers spent 5.2 seconds longer on mobile ads in Q4 2014, likely due to mobile video driving increased engagement. 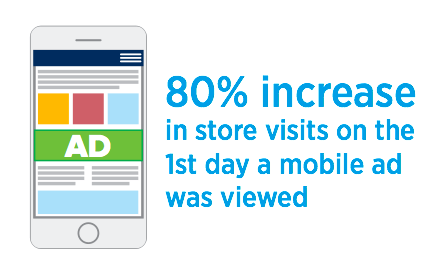 Store visits remained above average for the first 6 days after consumers were exposed to an ad. Get to know your customers, learn what they like, show them you listen. It’s a little give and take that results in trust – a priceless asset well worth the work. We’ll show you how. Look to the experts at Customer Insight Group for the advice and experience you need.